Go for the eyes, Boo. 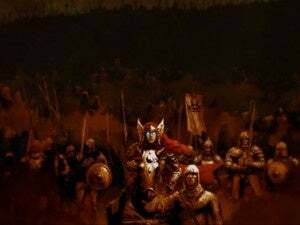 Following a tease earlier this year, developer Beamdog has finally revealed the first details and footage of its upcoming Baldur’s Gate expansion-slash-sequel titled Siege of Dragonspear. Yes, an expansion for a game that originally released in 1998. PC gaming is a wonderful thing. And it’s sounding great, from what few details have been released. The original cast of characters is back, there’s a new class (shaman), four new companions, and all the art is done in the Infinity Engine aesthetic. 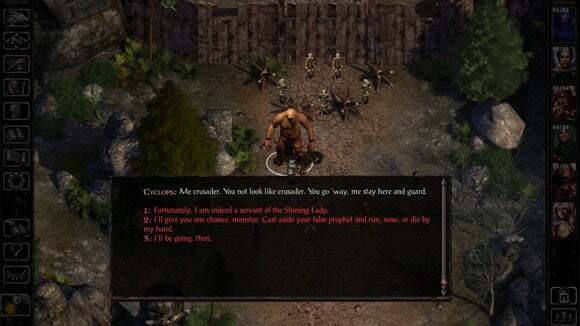 Also, twenty-five hours is a respectable heft—that’s almost as long as spiritual successor Pillars of Eternity, which is its own standalone game—and you can still import your Siege of Dragonspear save into Baldur’s Gate II. No release date yet, but…well, it already took fifteen years. I think we can wait a bit longer. We’ll be sure to update you when we know more.